Konstantino set of two cuff links and four shirt studs. 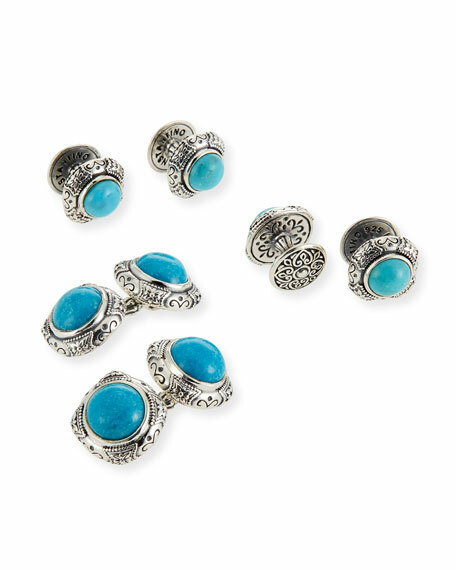 Round cabochon turquoise center stones. For in-store inquiries, use sku #2515604.